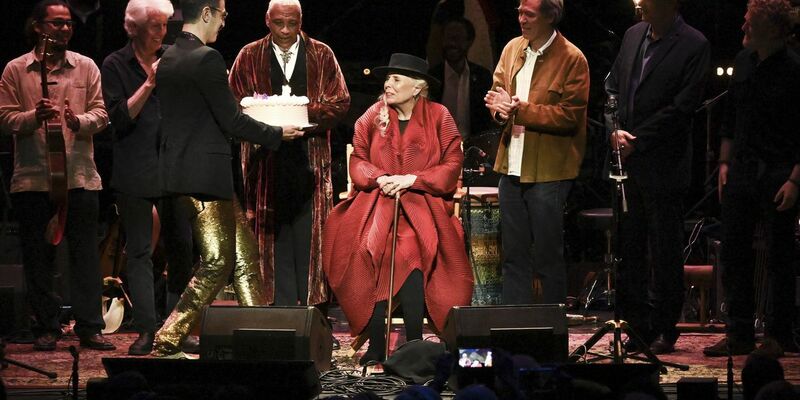 LOS ANGELES (AP) — As an adoring-but-anxious crowd wondered if she'd appear at an all-star concert celebration on her 75th birthday, Joni Mitchell was stuck in traffic. It was only fitting for a singer and songwriter whose music helped define the experience of modern Southern California. Glen Hansard could have been describing the guest of honor when he sang of "a prisoner of the white lines on the freeway" in his rendition of Mitchell's "Coyote" soon after the show finally began, nearly an hour late. James Taylor, Chaka Khan, Kris Kristofferson, Rufus Wainwright and Seal were also among those serenading Mitchell with her own songs Wednesday night at the Dorothy Chandler Pavilion in Los Angeles. Mitchell didn't speak or say a word all night, but just showing up was a triumph. 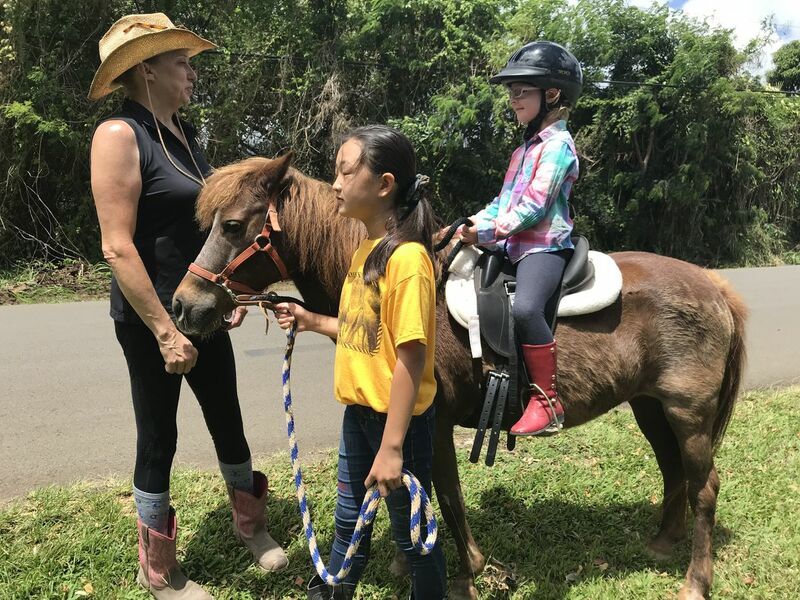 For 3 1/2 years, she has been almost completely absent from public life after an aneurysm left her debilitated and unable to speak, and little has been revealed of her condition since. "You know, Joni has had a long and arduous recovery from a really major event," Taylor, one of Mitchell's oldest friends, told The Associated Press before the show. "But she's doing so much better." Mitchell needed help walking in and getting to her seat in a front corner. The audience greeted her with a standing ovation and spontaneous chorus of "Happy Birthday." The crowd's love for Mitchell was matched by the artists themselves, especially the women, many of whom said Mitchell was much more than a musical influence. "I want you to know how many times you have saved my life," Khan said to Mitchell from the stage before ripping into a sizzling take on Mitchell's "Help Me," with backing from Wainwright and Seal, who like other performers spent much of the night sitting on couches on a stage that looked like a living room. "Joni Mitchell is an inspiration to every girl who ever picked up a guitar," Emmylou Harris said after singing Mitchell's "Cold Blue Steel and Sweet Fire." That inspiration apparently has its limits. Harris didn't play guitar on the song, saying with a laugh that the "chords are too hard for me." The songs were interspersed with photos of Mitchell and audio clips of her speaking throughout her career, allowing her to serve as the evening's narrator even as she remained silent. Later in the evening, film director and Mitchell mega-fan Cameron Crowe presented her with the Music Center's Excellence in the Performing Arts Award at a dinner gala whose guests included David Geffen, Lily Tomlin, Anjelica Huston and Tom Hanks. The concert brought four decades of songs that showed the twisting career path of the onetime Canadian folkie who became the quintessential California singer-songwriter behind albums like "Blue" and "Court and Spark" and then took her music to places her soft-rock contemporaries would never dare go. Diana Krall showed the depth of Mitchell's jazz influence as she sat at the piano and sang "Amelia" from 1976. Kristofferson and Brandi Carlile showed that Mitchell could be a little bit country with their version of 1971's "A Case of You" and its memorable chorus, "I could drink a case of you darling. Still I'd be on my feet." Mitchell's "Dreamland" sounded like it was always meant to be a Latin tune when Los Lobos with La Marisoul played it. And James Taylor's solo acoustic "Woodstock" gave a necessary nod to Mitchell's simple hippie roots. The only song not written by Mitchell was written for her. Graham Nash sang "Our House," his 1970 song about life with Mitchell when the two were dating in their 20s. As the show approached its end, the curtain fell and the crowd chanted for an encore. They went wild when it rose to show Mitchell standing at the front of the stage in a long red coat, black hat and cane. She blew out candles on a birthday cake and swayed to the rhythm as all of the night's musicians combined for 1970's "Big Yellow Taxi." "They paved paradise, put up a parking lot," they all sang, in a building that was surrounded on all sides by parking lots. It was paradise anyway. At least for a night.